Earlier this year, Gucci Mane parted ways with longtime manager Debra Antney, who happens to be Waka Flocka Flame&apos;s mom. Not surprisingly, the decision has affected the former Brick Squad buddies&apos; relationship, and the saga has been playing out all week. 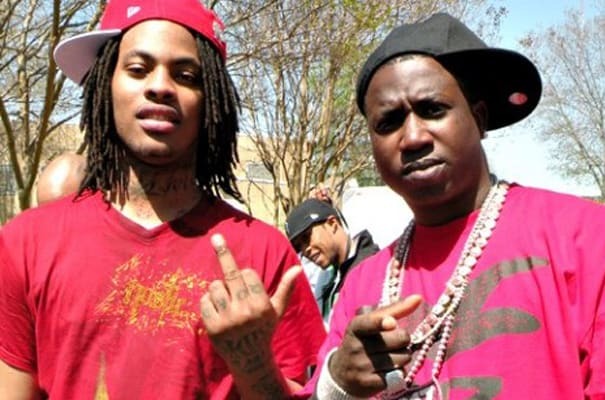 Waka said they were no longer on speaking terms, and his mom denied rumors of an escalating beef, which Gucci countered when he got irate during a recent Richmond, Virginia radio interview. When DJ A Plus started asking him about his problems with Waka, he walked out of the station. Radric Davis isn&apos;t the first MC to get upset at a radio host, though. Keep reading to check out our five favorite examples of rappers getting aggy on the airwaves.